Product Description: With firm commitment to quality, we are offering high-quality Formal Leather Belts. The belt offered by us would help in making a distinct style statement. 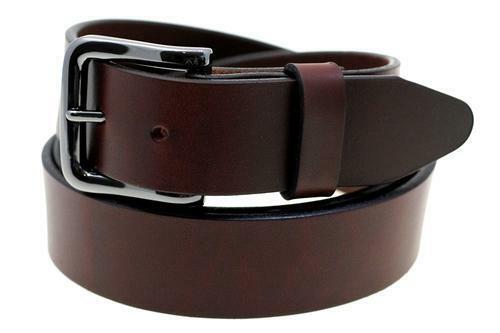 Made of high-quality leather, this belt will lend a classy and sophisticated look to the wearer. With firm commitment to quality, we are offering high-quality Formal Leather Belts. The belt offered by us would help in making a distinct style statement. Made of high-quality leather, this belt will lend a classy and sophisticated look to the wearer. We Shaz J Creations are considered in the market to be one of the leading manufacturers and exporter of this impeccable range of Leather Products and Covers, ever since our establishment in the year 2012. The range offered is made up of the finest Leather Bags, Men's Leather Wallets and Ladies Leather Jackets, having a high preference in the market. Making of this range is commenced following the norms and guidelines of the industry and utilizing the finest materials. This ensures the product’s elegance and finishing. Further, the range is marked at the most reasonable rate possible. Our highly developed infrastructural facility at Shaz J Creations, has been laced with all the machinery and equipment, which facilitates the attainment of several of the firm’s predefined objectives. The facility regularly upgraded, helps us in maximizing our reach in the market. The facility has been parted into several highly operational units, helps us in managing the firm’s operations in the best possible manner. In addition to this, our huge client base is owed to our abidance of industry norms, guidelines and ethics.